Renaissance - what associations does the term invoke with you? An age of achievement, “eureka” being shouted and enlightenment? Progress in a range of fields? The creation and celebration of both artistic and technical accomplishments? The emergence of clear, forward pointed thoughts? It might have been all that but there was more to it. A darker, macabre side: Musings on the need to be and vivid depictions of what might expect us on the other side once we have crossed the river Styx and exited this mortal coil, i.e. decay, lethality, doom, gloom and all things morbid. 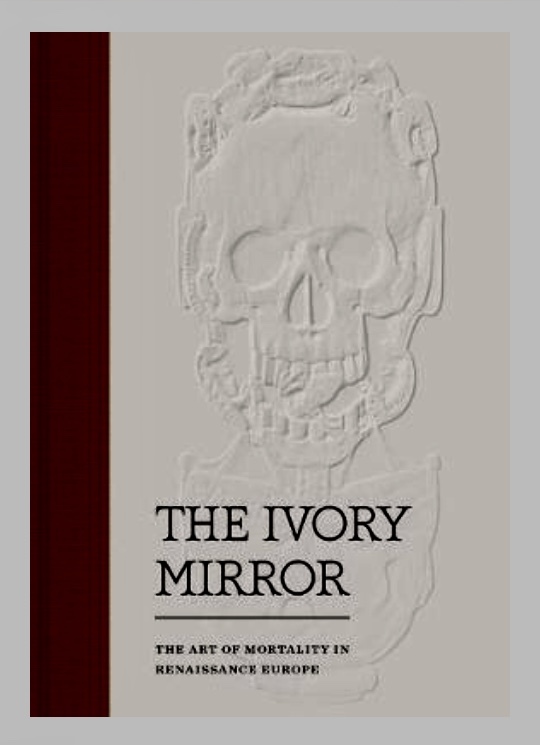 The Ivory Mirror reflects and documents in detail that very imagery by depicting and illustrating nearly two hundred artworks, ranging from sculptural manifestations of death via paintings and ornaments to jewellery. It thereby sheds light on the darker side of an age and its protagonists trying to come to terms with “dem Weg alles Irdischen”. Not unlike today, things were becoming more complex and with the advancement of technology and the means at disposal, contemporaries were considering how a legacy could be created that would outlast the mundane existence as they became acutely aware that no matter how much they were being held in high esteem, eventually they would end up being food for worms. The beautifully illustrated book is framed by essays focussing on the art of transformation and its significance, exploring themes that have not only not lost significance as time went by but are more relevant than ever before in our day and age. An enlightening tome that tries to feel out and calibrate the navigation between rectitude and mortality – a balance act with the trappings of egotistical, mundane Eigennutz on one side and the pursuit of a greater common good on the other.